The upmarket beach resort of Illetas, situated on the Bay of Palma in southwest Mallorca, is a delighted place to visit and a popular place to own a holiday home. Despite Illetas being located on a rocky coastline, it's fabulous cove-like beaches (some of which boast the coveted Blue Flag award) are regarded as some of the best in Mallorca. White sand, sheltered coves, shallow turquoise waters, high end restaurants and beach clubs...it's all here. Lying just a few miles from the centre of Palma, the first thing you notice as you turn into the resort from the main coastal road is the sheer amount of four and five star hotels. Add to this trendy boutiques, lively cafes and bars and some lovely apartments overlooking the sea, and it's easy to realise just why Illetas really is a top-draw destination. But without doubt, the main attraction of Illetas is it's amazing beaches. Continue along the Paseo Illetas, the road that hugs the rocky coastline, and you come to two of them nestling close together. Playa Illetas is the main, larger beach - a sheltered cove that is ideal for swimming and snorkelling. It has superb facilities too. There's a beautiful beach- side restaurant for which it's always advised to book in advance. You'll find no less than two upmarket beach clubs here - Balneario Illetas and Puro Beach Club. All decked out in shimmering white, they are great places to hire a double lounge bed overlooking the sea, enjoy a mouthwatering meal or sip a chilled glass of white wine whilst relaxing in the hot Mediterranean sun. There is also a small therapeutic massage parlour, a classy boutique and a couple of popular cafes. Indeed, the facilities are so good at Illetas Playa that many of the cruise ships that dock in Palma ferry passangers in rubber dingies to the beach so they can have a swim and enjoy the facilities. You'll also usually spot several luxury yachts anchored in the bay. Just at the back of the beach is the family-run Restaurante Es Parral specailising in delicious, home-cooked Mallorcan dishes. The restaurant comes alive in the evening. If you prefer something a little more relaxed beach-wise, the delightful pine-laden Playa Cala Comtesa is just a few hundred yards away at the southern end of the resort. There's a small cafe bar should you feel a little peckish after enjoying a swim. There is a third beach nearby too: Cala Oli. Being a little less sheltered than Illetas's two main beaches, it is a popular spot as a cooling breeze wafting in from the sea can be a welcome distraction on many a hot summer's day. Illetas is a lovely place for a holiday. The resort has a wide range of luxury hotels to choose from; a fine example being the 5-star Hotel Melia del Mar. You can't miss this imposing hotel, it's 1970's tiled exterior can be seen from miles around. Then there's the recently refurbished Hotel Riu Palace Bonanza Playa, a superb hotel with an indoor spa and outside swimming pool, plus patio built out into the sea. Scuba diving lessons are optional. 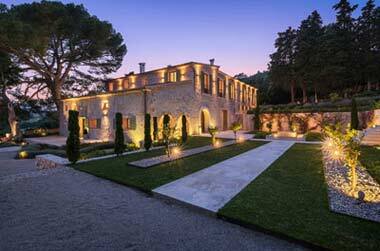 But without doubt the most splendid hotel in Illetas is the family-run, antique-adorned Hotel Bon Sol. Set on multi-level terraces with its own private beach, the hotel resonates with the sort of old world charm you rarely find nowadays. It’s not all 'life's a beach' in Illetas. Less than 1km away is Real Golf de Bendinat. Set in a beautiful wooded valley overlooking the sea, this attractive 18-hole course is a popular choice with golfers – particularly if you like the challenge of dog legs! Luxurious spa facilities are provided to ease away the strains of a hard day on the fairways. 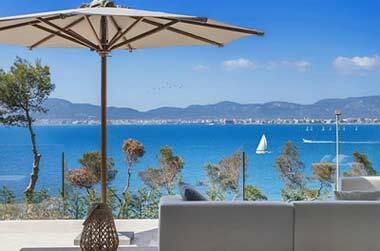 In addition to being situated just a few miles west of the capital Palma, Illetas snuggles comfortably between the luxury resorts of Puerto Portals and Bendinat on the west side, and the residential areas of Cas Català and San Agustin on the east. The beach resort of Cala Major is within a reasonable walking distance, and the main shopping areas of Porto Pi and the centre of Palma are just a short bus ride away. The location of Illetas couldn't be better. Whether you come by car, taxi or bus (Palma's No. 3 bus terminates here), the resort is situated just off the coast-hugging main road from Palma to Andratx. 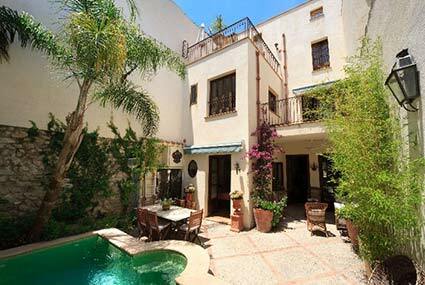 It is about 20 minutes away by car or taxi from Palma airport. 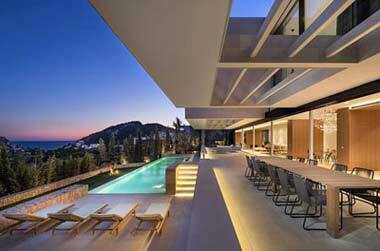 Only a stone’s throw away from Palma, Illetas is one of the most popular resorts in the south. It is really quite a “Brit” area and attracts a very up-market clientele to its elegant 4 and 5 star hotels. 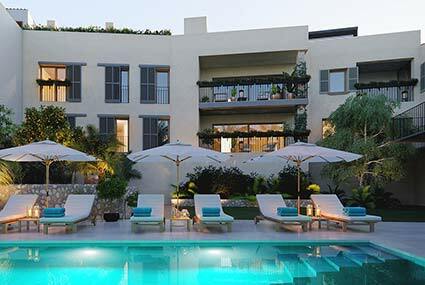 Chic designer boutiques line the charming streets and the trendy cafés are buzzing with the international scene. Illetas is perched on a rocky coastline, so some apartments here have absolutely stunning views over the bay.